Announcement Happy Mother's Day 2019! Please place your Mother's Day orders by Friday, May 3rd to ensure delivery before Mother's Day. You may also have your package shipped directly to that special mom in your life (along with a gift message from you). 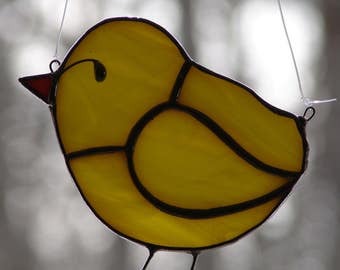 "The Glass Menagerie" is an established stained glass studio located in central NY. one of kind panels and lovely seasonal ornaments. Very beautiful! & Great customer service! Always beautiful and exactly like the photo. Welcome to The Glass Menagerie! 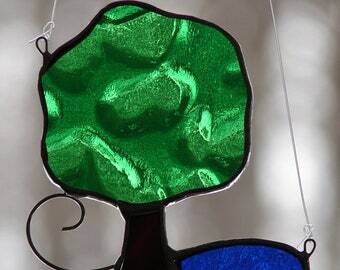 All of my stained glass offerings are created in the copper foil method of stained glass. 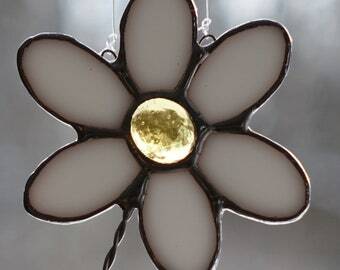 This method was developed by Louis Comfort Tiffany. 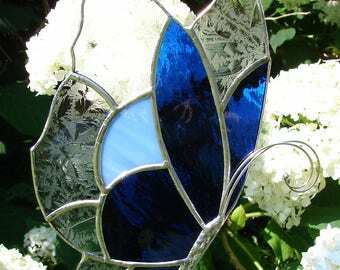 The process involves cutting each pattern piece of glass separately, grinding the glass to fit the pieces together, individually wrapping each piece in copper foil, soldering the pieces together, washing the piece and finally waxing the finished piece. All of my work is guaranteed to be satisfactory. If you are not satisfied with my work, please contact me. money order or check (checks must clear bank before item will be shipped). You may also use Etsy Gift Cards. (when being shipped to the same address). Your discount will be reflected during the check out process. 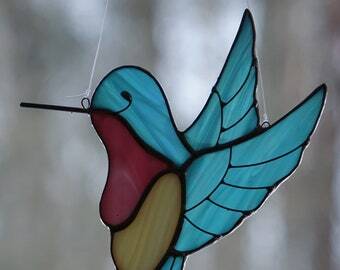 Your shipping cost includes US Priority Mail or US First Class Mail shipping (depending on the size of the item), professional packing and a guarantee that your stained glass will arrive unharmed (or return to me for replacement or full refund minus shipping charges). Please contact me if you need your item quickly for I also offer overnight shipping (for an additional charge). I will gladly ship internationally, so please feel free to contact me for international shipping quotes. If you are purchasing as a gift, I will be glad to ship directly to the recipient. Please convo me or leave a note during your check out process. (hand written on a note card). I welcome custom orders, so please feel free to contact me.